Second ozone hole was detected over? Answer: B (This question was Asked in SSC JE Exam 2015, However we could have chosen Tibet as 2nd Hole as it was discovered in year 2006 but as per Options available B, Artic should be correct Answer. Ozone, a form of oxygen, acts as a high-altitude atmospheric screen against cancer-causing ultraviolet light. 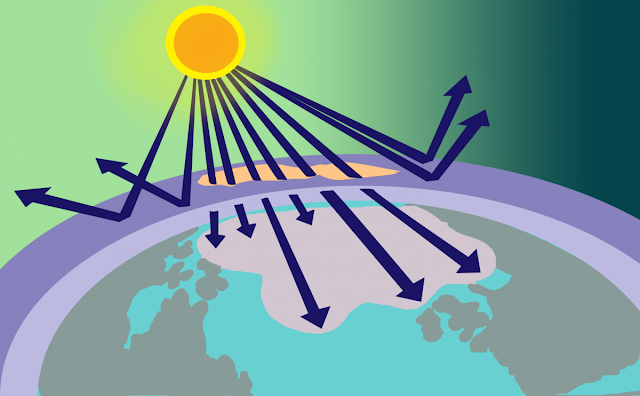 Ozone depletion describes two distinct but related phenomena observed since the late 1970s: a steady decline of about four percent in the total amount of ozone in Earth's stratosphere (the ozone layer), and a much larger springtime decrease in stratospheric ozone around Earth's polar regions. The latter phenomenon is referred to as the ozone hole. The main source of these halogen atoms in the stratosphere is photodissociation of man-made halocarbon refrigerants, solvents, propellants, and foam-blowing agents (chlorofluorocarbon (CFCs), HCFCs, freons, halons). These compounds are transported into the stratosphere by winds after being emitted at the surface. Both types of ozone depletion were observed to increase as emissions of halocarbons increased. CFCs and other contributory substances are referred to as ozone-depleting substances (ODS). Antarctic Ozone Hole: Antarctic ozone hole has been one of the major environmental issues of the past few decades. Its discovery in the mid 1980s was completely unexpected and prompted intense research activities to determine its cause. Arctic Ozone Hole: An ozone hole five times the size of California opened over the Arctic in year 2011, matching ozone loss over Antarctica. There are several reasons as to why the arctic ozone hole is less prominent in comparison to the antarctic hole. Firstly, Polar Vortex, a natural circulation of wind that isolates Antarctica from rest of the world during winter is less developed over arctic. Secondly, stratospheric temperatures at Arctic, are not as low as in the Antarctic. This is a lucky proposition because formation of even a moderate ozone hole above the Arctic region can give cause for considerable concern due to the greater populations in the higher latitudes of the Northern Hemisphere. Thirdly, Earth’s magnetic field directs more positively charged solar wind particles to Earth’s south pole. Tibet ozone hole: As winters that are colder are more affected, at times there is an ozone hole over Tibet. In 2006, a 2.5 million square kilometer ozone hole was detected over Tibet. Also again in 2011 an ozone hole appeared over mountainous regions of Tibet, Xinjiang, Qinghai and the Hindu Kush, along with an unprecedented hole over the Arctic, though the Tibet one is far less intense than the ones over the Arctic or Antarctic.